This is how it will work: I will post a cookbook up for grabs, if the book is of interest to someone, all you have to do is mention it in a comment. At the end of the week I will take all the individuals interested in the cookbook and pick a reader at Random.org – then I will send that person the cookbook that is up for grabs. Shipping is on me, that’s why we are doing these once a week folks. :) Whatever books do not get picked will all end up going to a charity that has not yet been selected. This will be fun and I am looking forward to sharing my cookbooks with all of you! The first one up for grabby-grabs is The Frugal Gourmet written by Jeff Smith. This was the first of eleven cookbooks written by Jeff Smith, the host of The Frugal Gourmet TV show that aired on PBS from 1983-1997. I can’t give a review of it because I have never cooked anything from it, as is the case with most of my cookbooks. I love them, I love to collect them – but I rarely use them, hence the giveaway. Ok… so about that Butternut Squash-Banana Bread with Cranberries. I received the Butternut Squash in my produce box and wanted to do something fun with it. 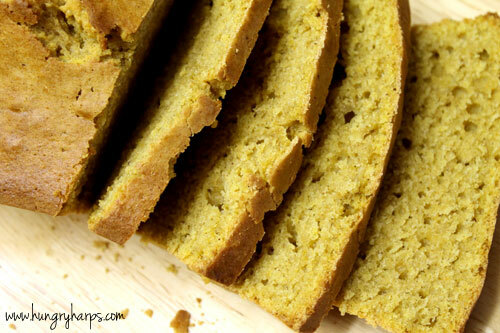 Since I have been on a Quick Bread kick lately I decided to look around for a Butternut Squash Bread recipe and was OH SO LUCKY to find one at My Baking Addiction. 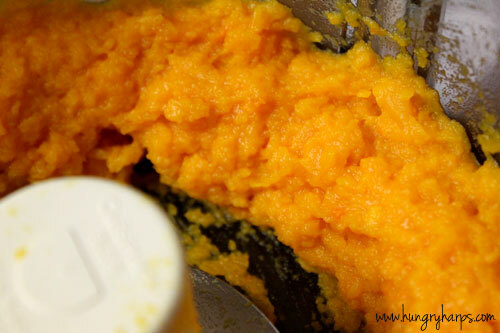 Jamie from Baking Addiction also has an awesome recipe for Butternut Squash Purée, so check it out if you are in need. :) I ended up not having enough Butternut Squash since I was making two loaves, so I substituted the rest with bananas. Since I was not sure how the cranberries would work out I only added them to one loaf – however, if I had to do it again I would have added them to both. These 3 flavors ROCK together. Yes, ROCK!! 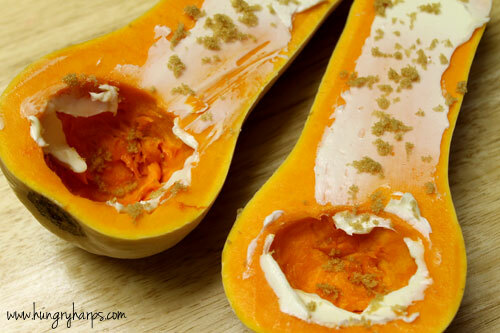 I've been surprised at how much like pumpkin the butternut squash tastes. That means it would be perfect as a quick bread. That, paired with cranberries, sounds delicious! Okay - this is WAY too cool! I love the idea of this giveaway! Count me in for the Frugal Gourmet! Thanks! BTW - the bread is terrific, too! What a great bread with SO many wonderful ingredients and flavors. 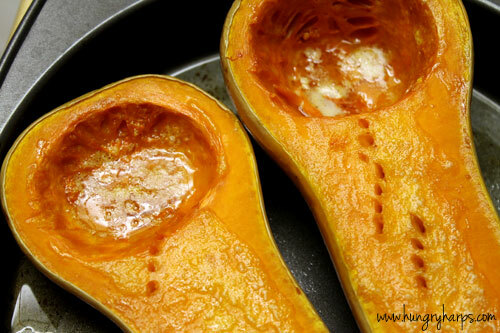 It's a great way to sneak some healthy squash into my ever resistant children's diet! Thank you. :) The loaf without cranberries was as equally good, I am becoming a bread-fanatic!! i have brown bananas and i have a butternut squash waiting to be eaten- i would have never come up with this combo but I am going to try it! thanks for the great recipe! 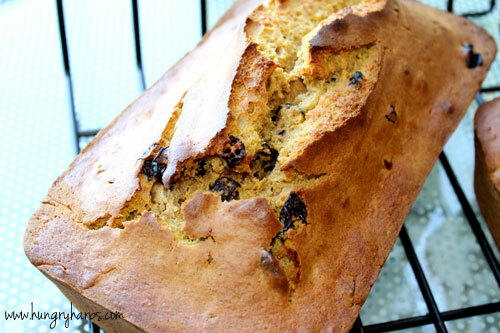 What a fantastic combination of squash in a banana bread ... outstanding! Plus, congrats on your Top 9 and hello since I've only now found you. Looking at your past posts made my mind light up, so good morning too!I do need more recipes to adapt with my spicing pecans. I will enjoy tagging along for any well loved cookbooks. The Frugal Gourmet sounds great. I love the frugal gourmet. I remember watching it with my mom on pbs! I wish I would have seen it, I love cooking shows! What a great way to get more veggies! Great idea about your cookbook giveaway. This looks super interesting. Does it taste mostly like bananas? Can you tell it has butternut squash in it? I would love to get that frugal gourmet book! Absolutely loving the sound of these 3 flavors together! 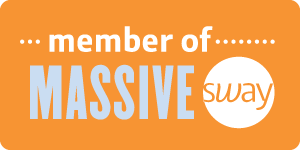 I made this tonight and wanted to stop by and say thanks-it was great! I think next time I'm going to try to sub apple sauce in for the oil to make it a little healthier but it was wonderful! i will try blueberries, chopped dates or prunes instead of cranberries. This recipe looks great and I'm going to try it out tomorrow. I am going to only add 1 cup of sugar though. 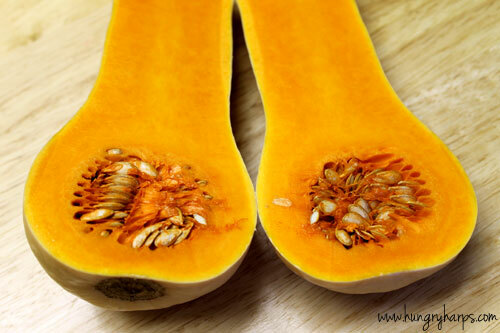 Between the bananas and the butternut squash, it would seem to me that 3 cups would make it super sweet. I'm also going to substitute whole wheat flour (I use whole wheat flour in everything) for the all purpose flour. I'll let you know how it turns out. I'm going to make this tomorrow, it looks good. I'm going to reduce the sugar to 1 cup and substitute whole wheat flour for all purpose. I'll let you know how it turns out.